Planning a conference or corporate function with a difference? We specialise in corporate conferences and functions in Perth and work with a portfolio of high profile businesses who seek the privacy which Moondyne Country Convention Centre has to offer. Our retreat offers a comfortable environment without distractions, ensuring that your group remains focused and attentive throughout your presentation, seminar or workshop. 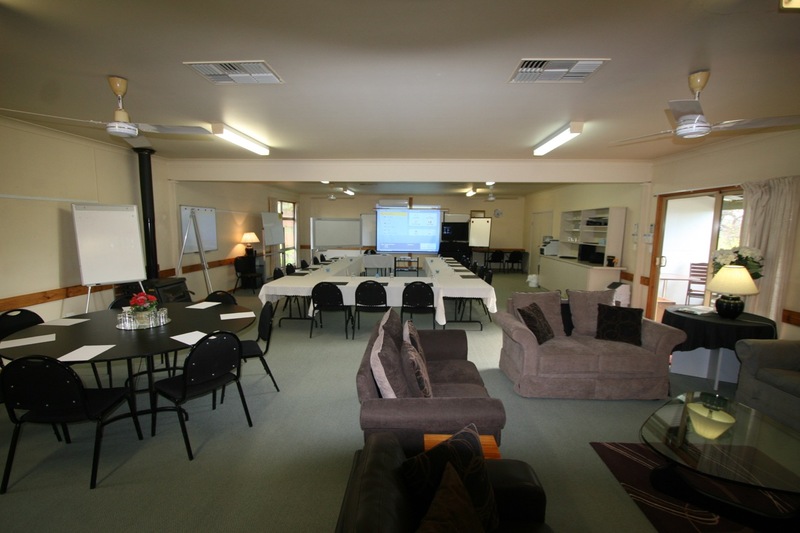 Each group has exclusive use of the Moondyne conference venue, ensuring total privacy, confidentiality and a wonderful setting for your employees and/or clients. Sole use of Moondyne Country Convention Centre and all facilities. Private use of the 120 square meter fully air conditioned conference room. Presentation equipment, including flat screen TV, DVD Player, remote controlled projection screen, electronic white board, flip charts and stands, photocopier, white boards and markers and much more. Catering included; breakfast, lunch, dinner, morning and afternoon tea. Additional activities can be provided, such as archery, yoga, drumming, orienteering, didgeridoo player and story teller, raft building and many others. Please note that alcohol and personal toiletries are not provided, however, feel free to bring these along with you. If you would like to book a viewing of our facilities in advance of placing a booking for your corporate event, we would be delighted to show you around! Contact us today for more information.